Some folks like their granola crunchy. Some folks like it chewy. Some folks like their granola low fat & unsweetened. And some folks like it SUPER PREMIUM with an abundance of nuts, chocolate and spicy flavors. And most folks … know what granola flavors they want and do NOT want to settle. Depending on where you live, where you shop and what your local food store(s) offer … more often than not you have to settle for what is on the shelves. With 1-800-GRANOLA.com’s SIGNATURE GRANOLA™ program you can now have Your Granola – Your Way. And you don’t need a computer to decide the flavors for you. 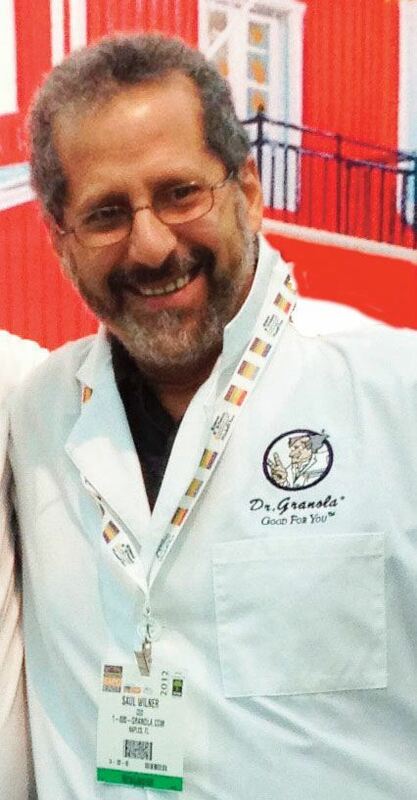 Dr. GRANOLA® and the talented crew at 1-800-GRANOLA.com will create your personal Signature Granola based on your flavor and nutritional requests. Send us an email (use the Contact Us link below) describing your preferred flavor/texture/sweetener, etc. If you like nuts, tell us which nuts you prefer. Same with dried fruits. 1-800-GRANOLA®, and the name and caricature of Dr. GRANOLA®, are US registered trademarks of 1-800-GRANOLA, Inc. All rights reserved.